I originally read about Marie Kondo and her book in the New York Times and thought that it might be interesting, but that I didn't have any particular need for it. After all, I live in a fairly small apartment in NYC, and there simply is not much room to accumulate clutter. I was also already accustomed to going through my closet every three months or so to cull unwanted items that I could donate or discard. However, an alum of my college recently mentioned how the book had helped her to think about her stuff and her clothing in a more minimalist way, which made me want to read it for myself. 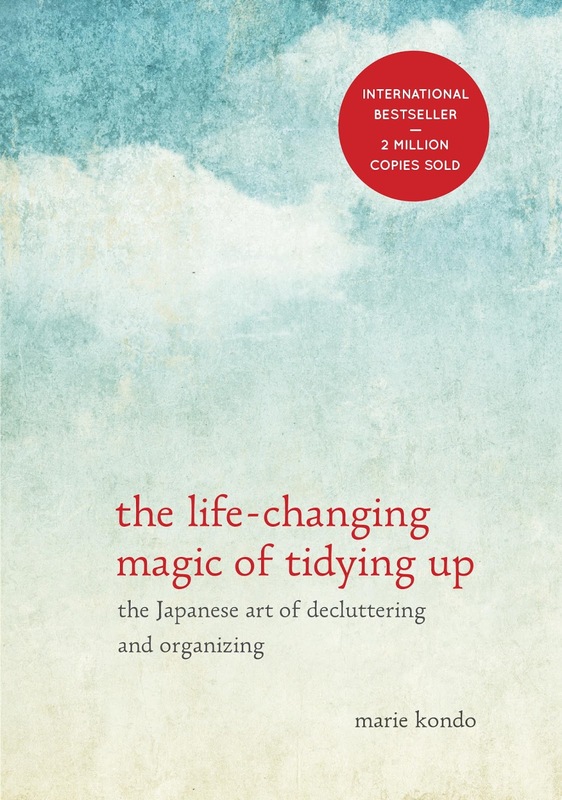 Marie Kondo's The Life-Changing Magic of Tidying Up is primarily about the act of "tidying up" or decluttering one's home in one fell swoop, mostly by discarding things that are no longer useful. However, I agree with the alum that described it as ultimately being a book about minimalism as a broader concept. Her primary overall point is that first and foremost, one should discard items that no longer or never inspired joy. The process of going through one's belongings and making decisions about whether an item is worth keeping under that criteria is then helpful for better understanding the type of life one wants to live and what is important in one's life. In short, I quite enjoyed the book. It is a quick read and Kondo's general suggestions are based on using intuition rather than setting out unnecessarily detailed or specific suggestions or rules that might not work for everyone.